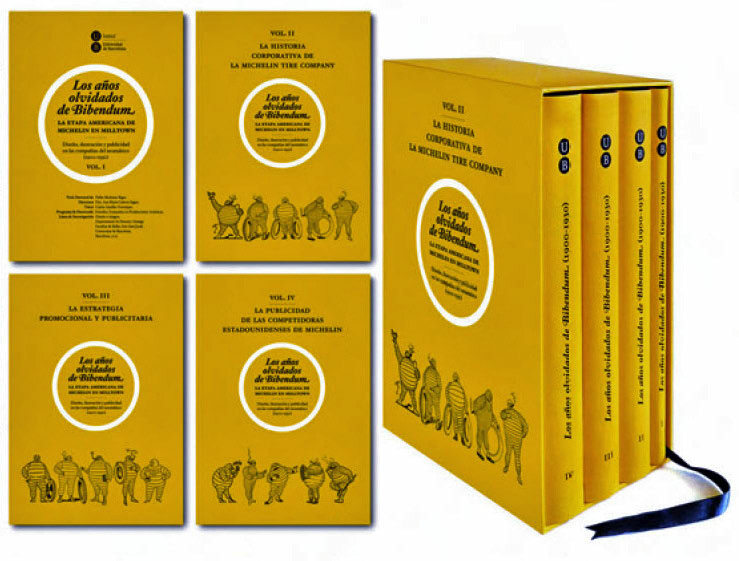 Professor Pau Medrano Bigas, Professor of Graphic Design at the University of Barcelona, has spent ten years researching Michelin's graphic history. 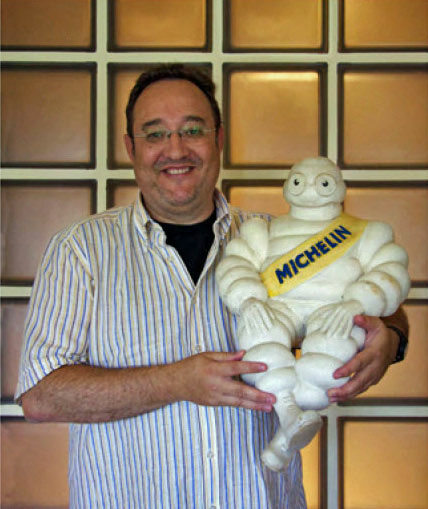 In July 2015, Pau presented his doctorate thesis The forgotten years of Bibendum: the American stage of Michelin in Milltown. 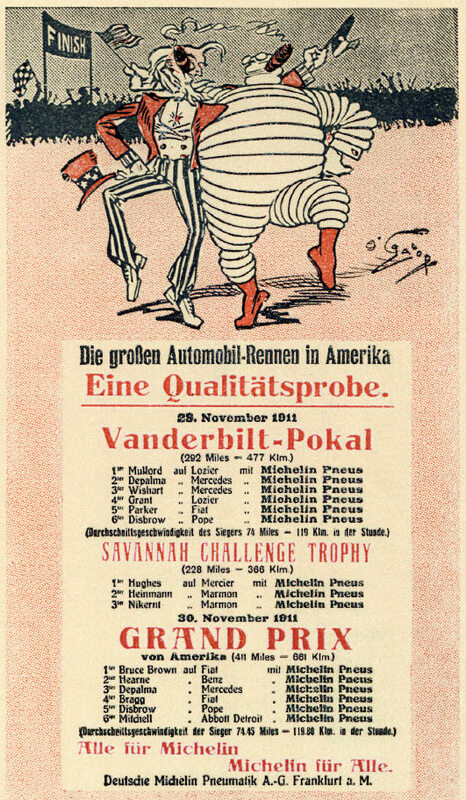 Design, illustration and advertising at tire companies (1900-1930). 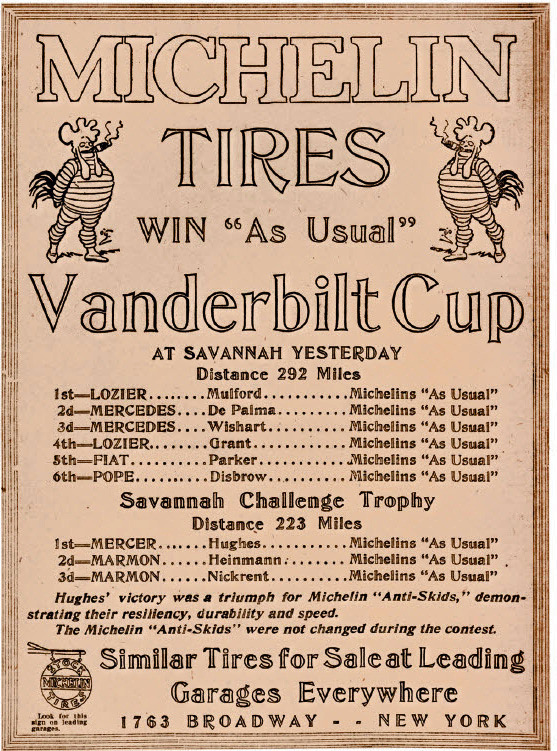 Several sections of his thesis detailed how Michelin promoted and advertised their tires at the Vanderbilt Cup Races and other great races of the era. 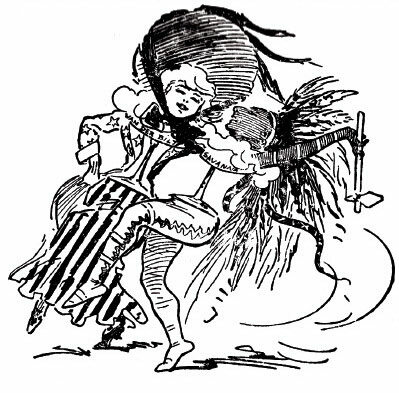 With the professor's permission, below are several Michelin graphics used in his thesis. 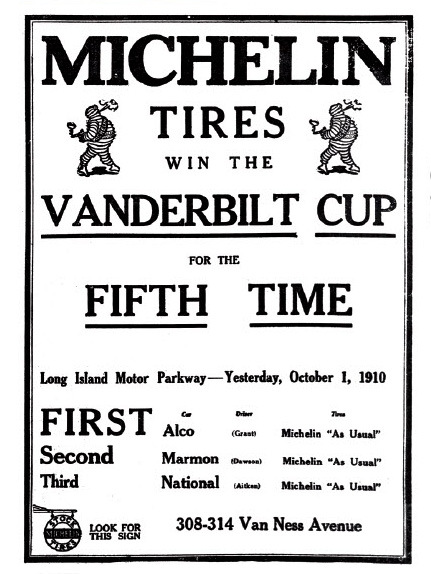 A large Michelin banner on a tire station located on Jericho-Oyster Bay Road in East Norwich. 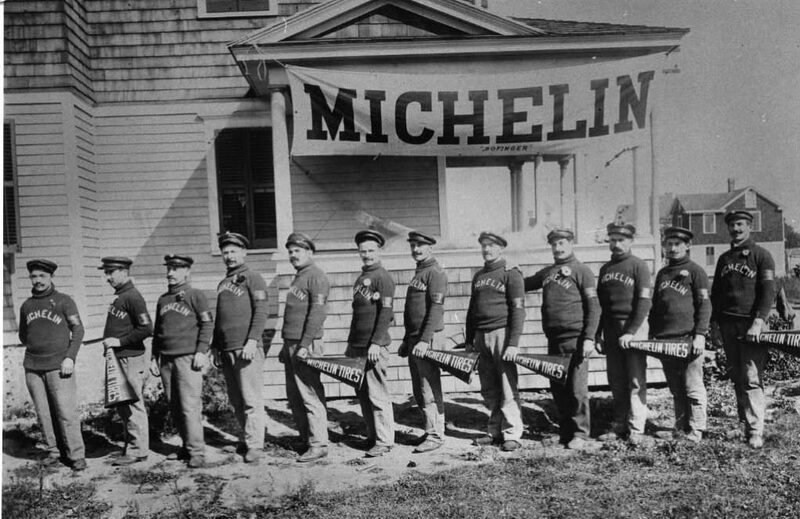 Several of the Michelin tire men. 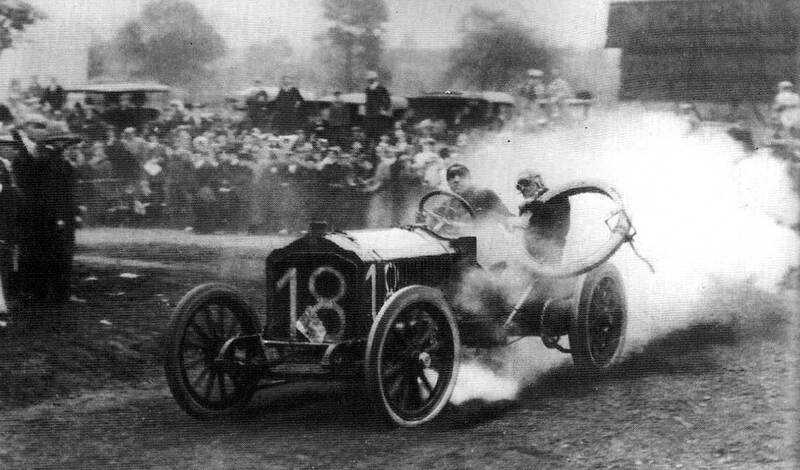 The classic Vanderbilt Cup Race photo at the Hairpin Turn on Wheatley Road in Old Westbury. Check out the Michelin sign behind the racer. 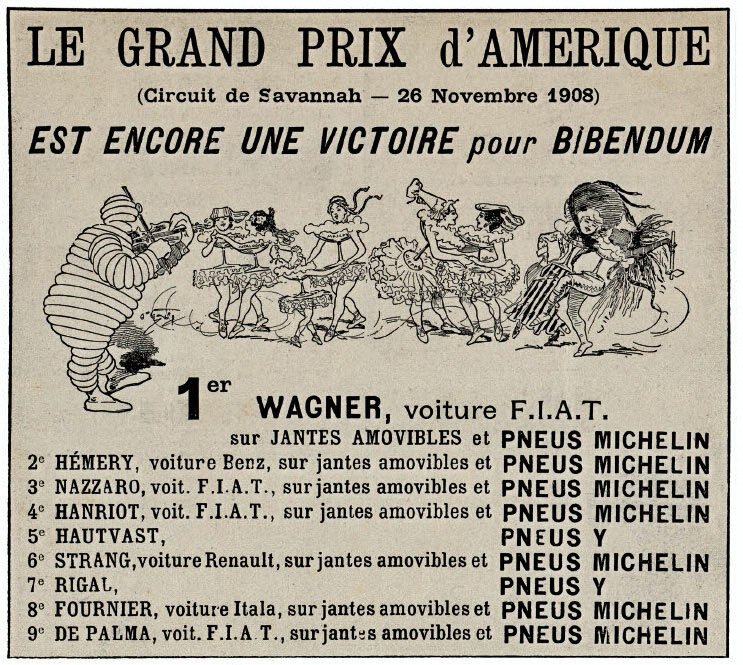 An odd graphic symbilizing the American Grand Prize Race. 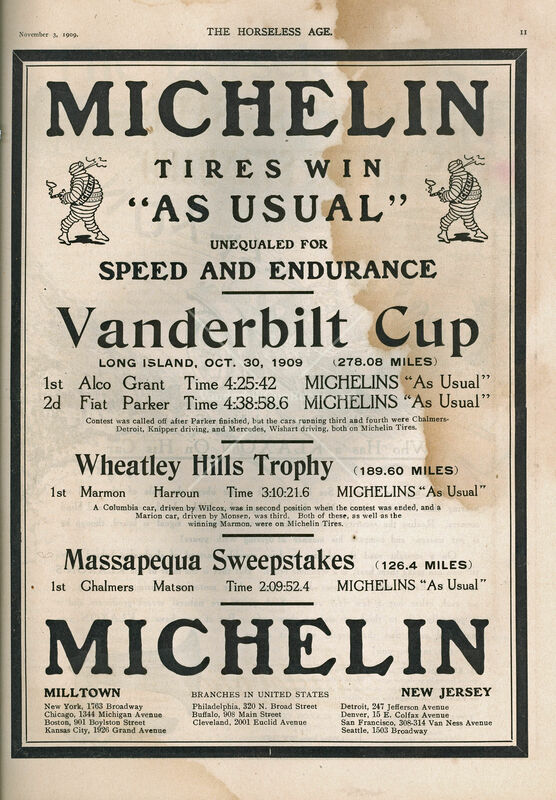 Michelin tires were on the winning race cars for every Long Island Vanderbilt Cup Race except the 1905 Darracq. The American victory promoted in Germany. 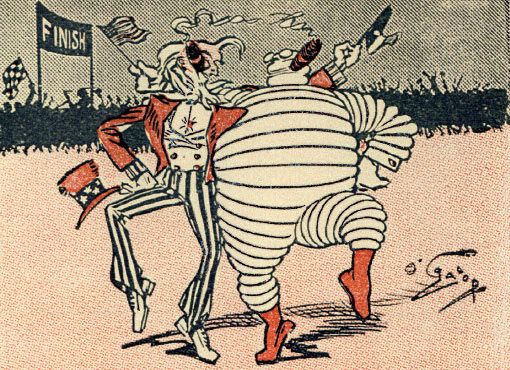 Uncle Sam celebrating with the Michelin mascot Bibendum. In late 2015, the University of Barcelona announced that Pau Medrano Bigas was awarded a Doctor of Graphic Design. Felicitaciones, Doctor!! The thesis is available at the University of Barcelona Thesis Depository. The text in Spanish is complete, however images are blurred due to respct for copyrights. If you wish to contact Dr. Pau Medrano Bigas at the University of Barcelona, his email address is pau.medrano.bigas@ub.edu . Thank you, Howard, by offering me the opportunity to participate in your wonderful web-site, the essential meeting point were passionated people and experts on early automobile races meet and share our knowledge. It is a pleasure to share and contribute to the cause with the results of my research, carried out from the point of view of graphic design and advertising field. Greetings from Barcelona City, on the Mediterranean shores. The first photo is what is now Rt. 106 looking north, probably in what is now Muttontown base on the caption under the photo ‘on road leading from Jericho to East Norwich’.